Later today the negotiators of the Commission, the European Parliament and the Council will meet for the 4th trilogue meeting. After having dealt with less controversial parts of the proposal during the three preceding meetings, tonight, will finally see a discussion about Article 13 of the proposed DSM directive. Given that all three legislators bring similar versions of article 13 to the table, we can expect that a final compromise text will include some version of the article 13 upload filters. 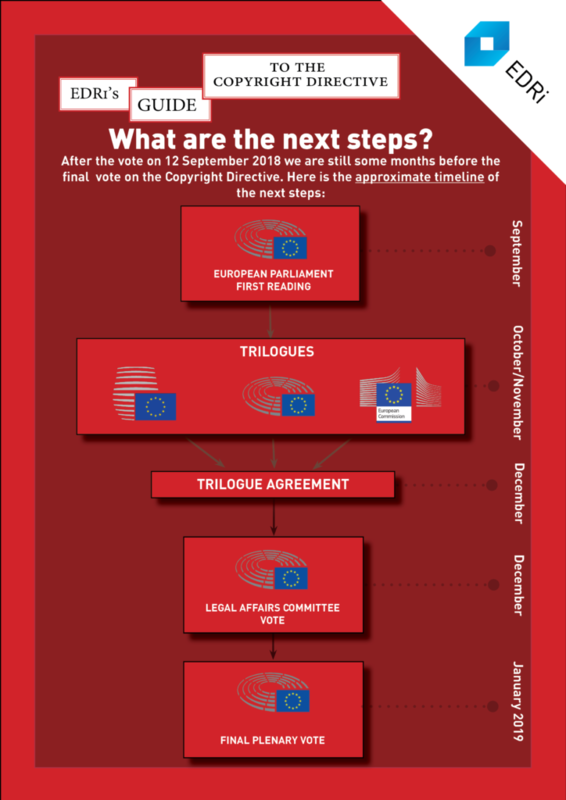 There is still a good chance that the negotiations will be inconclusive or that the eventual outcome of the trilogue negotiations will not be approved by either the Member States or the Parliament (which would mean that the directive will fail and there will be no upload filtering requirement for the foreseeable future). But in the context of the ongoing trilogue, the deletion of article 13 (which has been our position so far) is not an option anymore. Fair renumeration not upload filters! One of the certainties in copyright policy discussions is that most arguments are made purportedly on behalf of individual creators. Case in point is the EU copyright reform, where the music industry is claiming that Article 13 will benefit creators, where publishers are claiming that they need a publishers right so that journalists get properly rewarded, and where YouTube is claiming that Article 13 will hurt creators. In most of these cases creators are merely used as pawns in the game, in which large intermediaries on both sides of the debate try to ensure that they can gain or maintain as much control as possible over the distribution chain for themselves. With all this attention for the wellbeing of individual creators it is surprising how little attention has been paid to another provision of the proposed copyright directive. Even worse, a proposal by the European Parliament to include a measure that would directly benefit authors and performers (at the expense of rightsholders pretending to act on their behalf) is currently is facing opposition from Member States. Under the title “Measures to achieve a well-functioning marketplace for copyright” the Commission had proposed a number of measures aimed at strengthening the position of creators in contractual relationships with intermediaries. Specifically Article 14 introduces a transparency obligation for intermediaries towards rightsholders and Article 15 contains a contract adjustment mechanism intended to give creators some recourse if their works ends up being much more successful than originally envisioned and after which they have already signed their rights away. From the get go these measures had been criticised by organisations representing performers as not strong enough to really improve the negotiation position of creators. These have been advocating for an unwaivable right to receive equitable remuneration (something that we considered to be problematic because it would limit the ability of creators to use open licenses). Two weeks ahead of the second trilogue meeting on the 26th of November where the most controversial parts of the Copyright Directive will be discussed for the first time, various stakeholders are starting to position themselves for the final stages of the reform process. Yesterday Politico.eu leaked the compromise suggestions prepared by the Austrian Presidency for articles 11 and 13. Unsurprisingly the suggested texts maintain the general approach that was cemented by both the Council and the Parliament over the summer (see analysis by MEP Julia Reda here). By now it is clear that regardless of how much we argue that Article 13 should be deleted and that Article 11 should be limited to a presumption of representations neither of these two things will happen. Under these conditions it seems that the most promising approach to minimize the harm that will be caused by these articles will be to limit what type of services they apply to. Article 11 should be modified in such a way that it only applies to search engines and news aggregators. These are the type of services that press publishers are claiming to cause them harm (which we continue to doubt). This would prevent a lot of legal uncertainty (and thus damage) for everyone else on the internet. 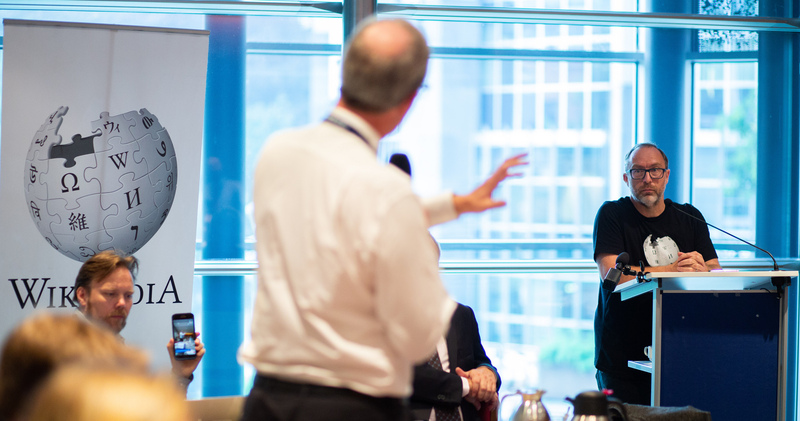 Summer is definitely over (sorry to write this) and copyright reform is back as one of the most controversial issues on the Brussels policy agenda. It is expected that the European Parliament will finally decide on the position on the proposed Copyright in the Digital Single Market Directive on September, 12th. Right now things are not looking good: instead of a much needed update of the copyright framework that would enable new uses driven by technological innovation, policy makers in Brussels are working towards new restrictions that would would limit how information and creativity can be shared and enjoyed online. This summer, COMMUNIA joined efforts with the Copyfighters to raise awareness on the ongoing Copyright Reform in EU at the music festival SZIGET. Sziget Festival is one of the most important, well attended and well known music and cultural festivals in Europe, gathering visitors from all corners of the world each August. In the heart of Hungary, the Obudai-sziget island, people across the world visit the festival for a few days to enjoy the music and to be inspired. Sziget has a Civil Island where current social issues can be discussed. On this island, in tent 50, we offered information about the current copyright reform and how it will affect citizens. On three consecutive days, between 8th and 11th of August, surrounded by the SZIGET beats and its unique vibes (of freedom), we have discussed and raised awareness on the current importance of copyright issues in Europe and the potential affects that draft copyright regulations would have on digital freedoms. Festival goers and visitors of SZIGET’s Tent 50 were asked what values they find important and how these values relate to the importance of copyright. They suggested words such as Europe, sharing, learning, knowledge and art as important values or concepts that are (or should be) equally or more important than copyright. Having an upcoming vote on the proposed Copyright Directive scheduled on September 12th, the current copyright reform is in the eye of the legislative storm in Europe. Copyright laws in their essence, are an instrument aimed in the creative sector, with the purpose to keep the balance – between the interests of creators and the public.